Debit and credit card charges are causing holidaymakers to "waste" more than £100 million each year, a new report has warned. Over one third (34%) of travellers make use of their regular payment cards while they are abroad. But 50% of these people are unaware of how much they are being charged. The survey, from holiday company Thomas Cook, said this shortage of awareness is causing Britons to lose out on £105 million. 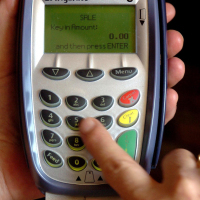 It said there is currently an average fee of 2.73% for non-sterling card transactions. And this total does not even include the amount people are spending on ATM fees and exchange rates used by banks. Earlier this week, travellers benefited from the end of mobile roaming charges when visiting other European Union countries. However, debit and credit card fees are still a potential burden on their holiday finances. Along with things like travel insurance, people need to keep an eye on exchange rates before they travel abroad. But it was also discovered by the survey that less than half of people currently keep track of currency rates so that they can change their money at the best time. Thomas Cook UK managing director Chris Mottershead said: "British consumers have got much savvier in recent years about their spending - how to make the weekly food budget go further and using voucher codes for saving money on family days-out. "Our first holiday report has shown that this money-conscious mentality comes into play for the cost of the actual holiday but stops where spending money is concerned. "It reveals the stark lack of understanding when using credit and debit cards abroad." The report comes as many Britons will be planning ahead for the traditional summer holiday period. With the schools due to break up next month, millions of people are likely to take holidays in the coming few weeks.